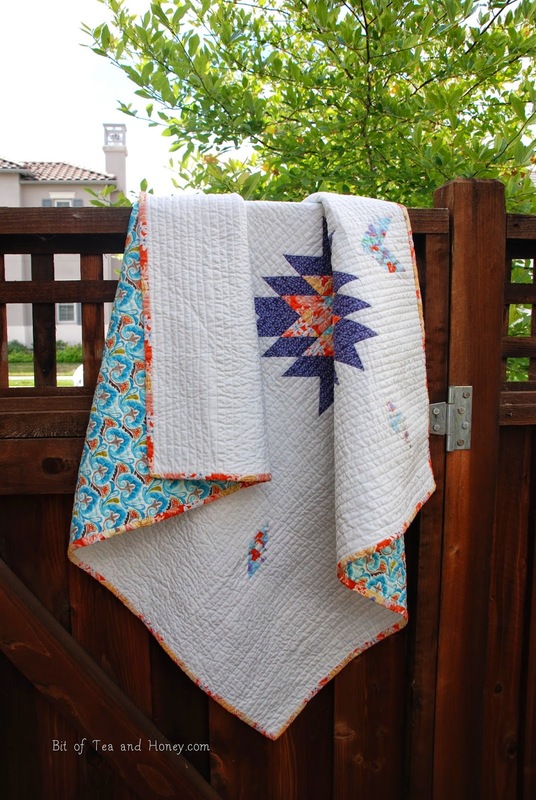 This summer, my summer of quilting, I made Camille Roskelley's Swell Quilt, from her book, Simply Retro with Camille Roskelley: Fresh Quilts from Classic Blocks. There are so many beautiful patterns (not to mention beautiful pictures that are just fun to look at). 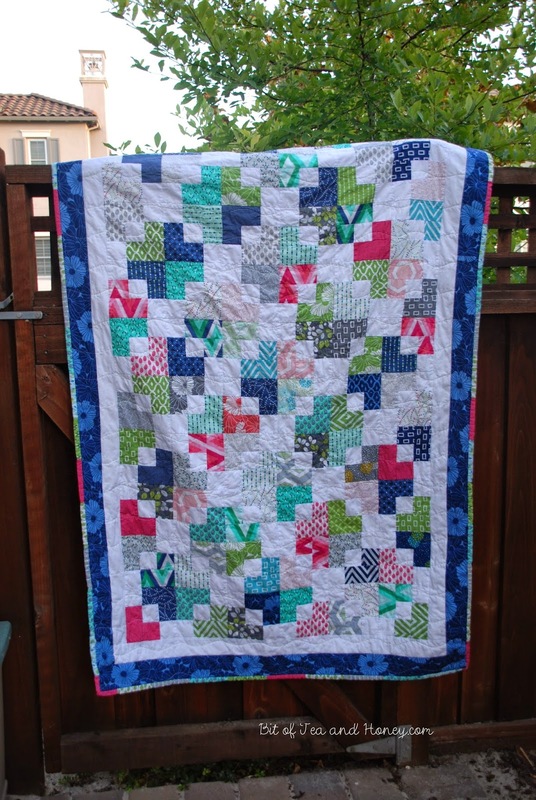 I chose V & Co for the fabric - I combined the Color Me Happy and Simply Style lines. 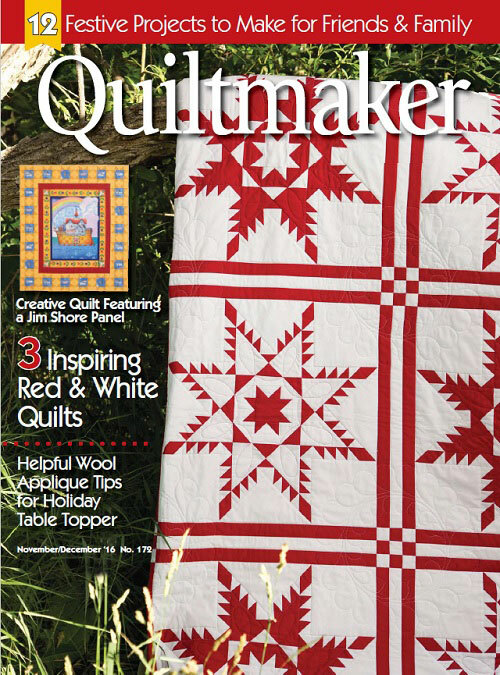 This quilt is destined for my sister in Denver. A (somewhat late) birthday gift. The kids gave it lots of hugs so that when she curls up in it, we will all be giving her hugs! 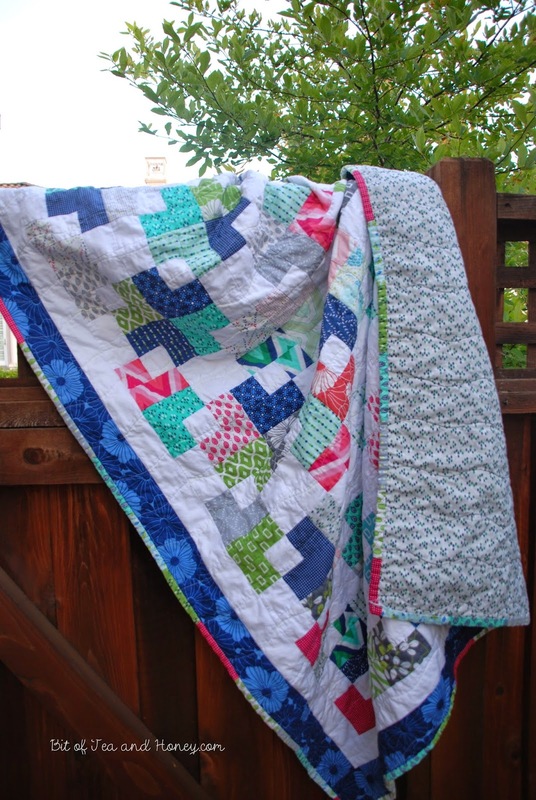 This has been the summer of quilting! 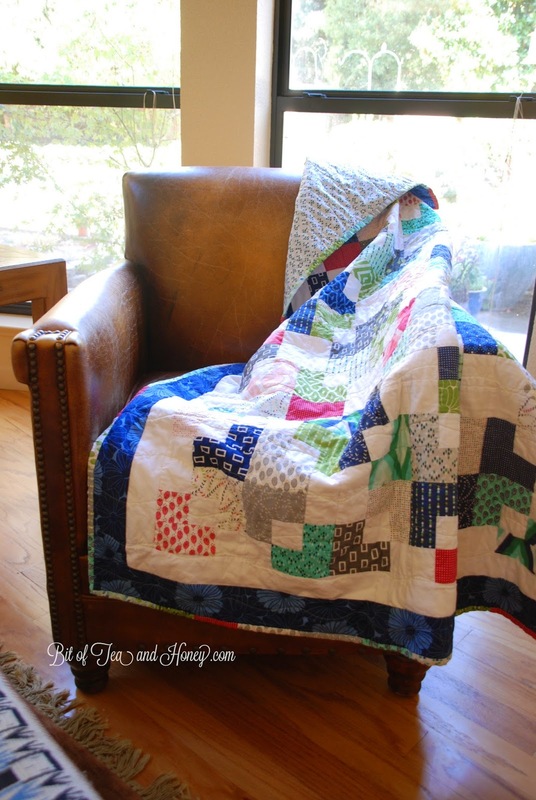 My poor husband thinks I have gone over to the dark side, since I have been furiously quilting at every spare moment, taking over the dining area with my sewing machine, and hanging half-made quilts all over the place. But it's worth it! 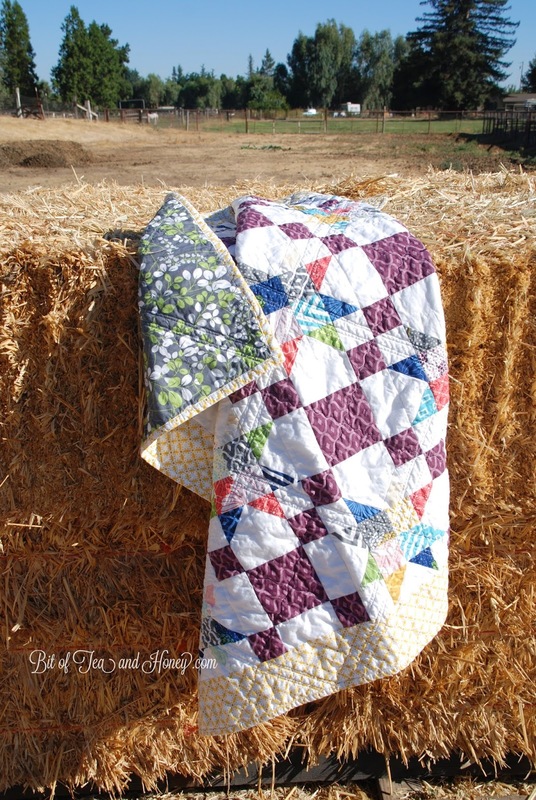 I loved making this Barn Dance quilt. 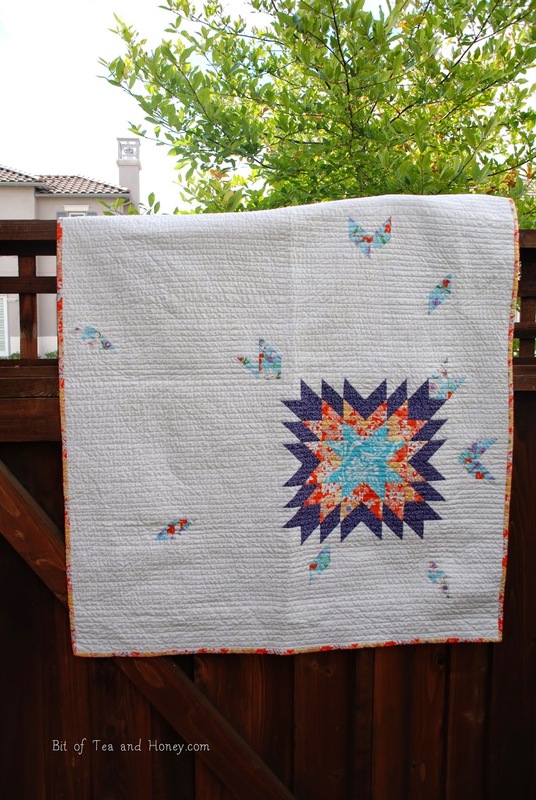 The pattern is from V & Co and can be found here. I made it with Kate Spain fabrics and just love each one. She has such a great eye. My only regret is that I didn't make it bigger. 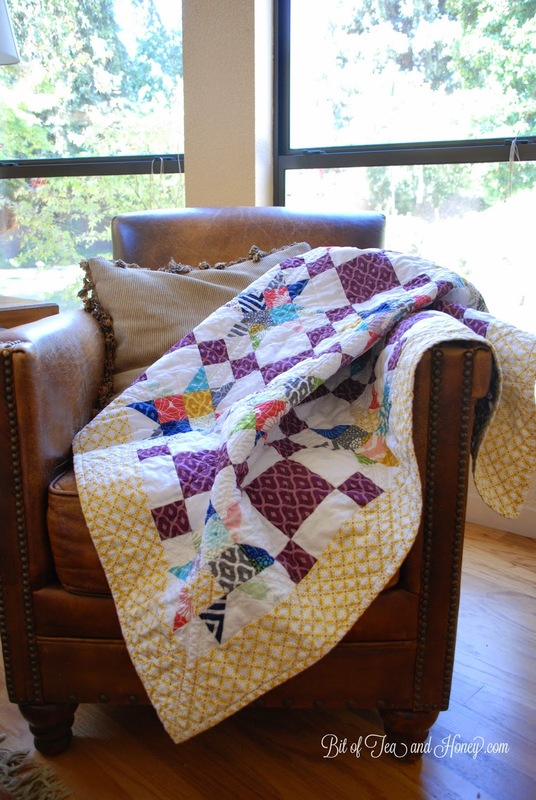 I tend to get overwhelmed before I start a quilt and think I'll just make the smaller version. But I am adding the bigger size to my mental to-do list for the future. An opportunity to collect more Kate Spain fabrics! !